Guide Books for Walt Disney World are a fun and important part of any trip, but which one should you buy? This month we take a look at the top guide books you should check out for your next WDW vacation. We start out by looking at the top selling WDW guidebooks, then we take a look at some new entries. 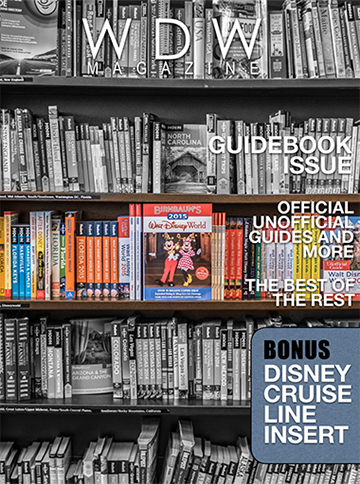 There is more information about WDW Guidebooks in this issue than you’ll find just about anywhere. Our Best of WDW section has a great lineup this month. The Grand Floridian Resort and Spa is our resort of the month, Dinosaur is the attraction, Earl of Sandwich is the restaurant and Animation Gallery is the gift shop. 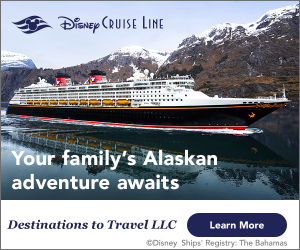 We have a really special bonus section this month about Disney Cruises. This is our biggest monthly issue yet. Come on in and check it out.